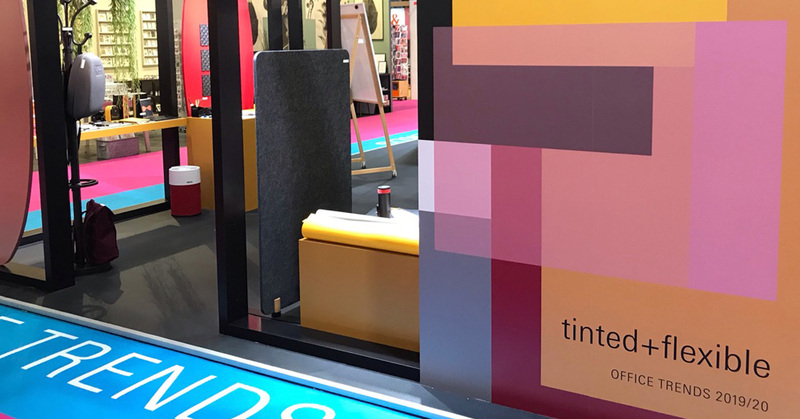 Sustainability always has a very important place in our stand at Paperworld Frankfurt, but this year, our sustainable commitment was taken way beyond the presentation of our EARTH range. Throughout 2019, Bi-silque is going to have a bigger focus on sustainability, with environmental and socially responsible long-term initiatives, to keep providing to our employees, the local community, suppliers, customers and other partners the opportunity to help building a more sustainable future. 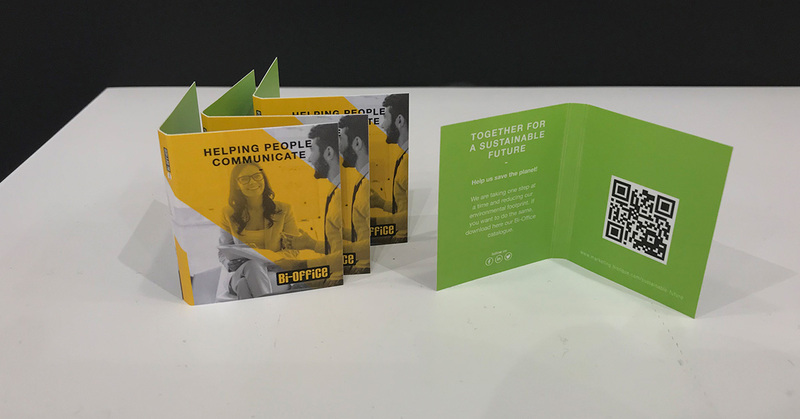 Under the motto “Together for a Sustainable Future”, we wanted to start showing our commitment with this campaign at Paperworld Frankfurt 2019. If you saw mini Bi-Office catalogues being distributed at the trade show, you were not hallucinating and our catalogue did not shrink either. What you saw were very small flyers, shaped like our Bi-Office catalogue, with a QR code to access a page which purpose was to raise awareness to all visitors that it takes only one small step - such as trying to use less paper - to make a difference and start to reducing our environmental foot. In this page visitors could also request digital versions of our catalogues. A few days before the beginning of Paperworld Frankfurt, we received the news that ARCHYI. was going to have some products at the Paperworld Trends Exhibition. The Mobile Angolo, the Free Standing Sculpo and the Ripple Cork were the selected products for the office trends “urban + pristine” and “tinted + flexible”. These trends highlight intelligent room concepts, modular furniture and modern technology, celebrating the emotional side and the reduced design approach as well as solutions that are simple, natural and well-thought out, with captivating surfaces, striking appearance and robust to touch As expected, this brought many curious visitors to our stand to get to know a little bit more about ARCHYI. solutions. 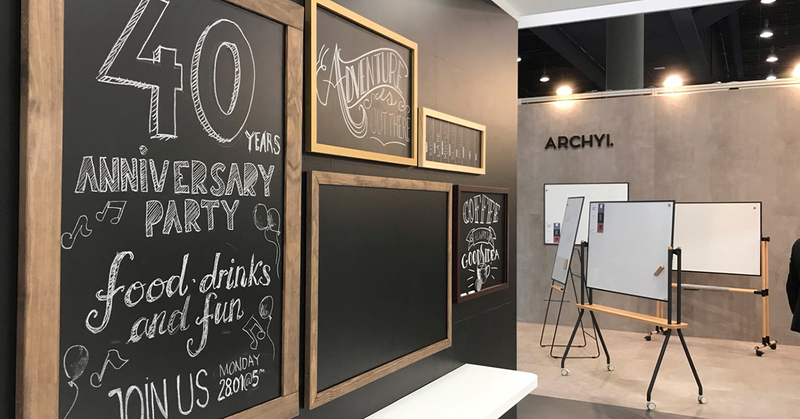 This year, Bi-silque’s participation at Paperworld Frankfurt was marked as the beginning of our 40th-Anniversary Celebrations. So besides planning a great anniversary party, that took place on Monday (January 28th), we also prepared a whiteboard mini-golf challenge to amuse our visitors. Friends, customers, media partners had a great time sharing many stories that happen in these last 40 years. Once again, we showed why Bi-silque is the global leader in the visual communication market, with solutions for offices, schools, industrial facilities., homes, hotels, restaurants and other businesses. Our participation at Paperworld Frankfurt is not only a great opportunity to strengthen our relationship with our customers, but also to get to know many interesting opportunities for our business. To see more pictures and take a peek at what went down in this year’s edition, go to our event landing page. © 2018 Bi-silque. All rights reserved.